Today, Manchester United caretaker boss and legend Ole Gunnar Solskjaer turned 46. His birthday comes at a brilliant time for him as his team is on top of their game. Since Solskjaer took over the reins of United, he has completely transformed the team. The Red Devils seem to be playing with that old swagger they were known for under Sir Alex Ferguson. The Red Devils seem like a team reborn and all their big game players are stepping up. Paul Pogba, Marcus Rashford, Jesse Lingard and Anthony Martial have all come out praising their new boss and his philosophy. United's attack hasn't been the only change but the Red Devils are also defending better than they used to under Jose Mourinho. Recently, they stopped Liverpool from scoring which is a big feat considering Jurgen Klopp's side didn't fail to score in any of their previous Premier League games, which meant that this was the first time this season that Liverpool had been stopped from scoring a goal. This United side has beaten Arsenal, Tottenham Hotspur and Chelsea away from home which just tells you the kind of impact Solskjaer has brought with him. Not only that, Solskjaer has brought back that sizzling counterattacking football which was synonymous with United under Ferguson's reign. All those goals against those big teams have brought back the memories of some old United teams. 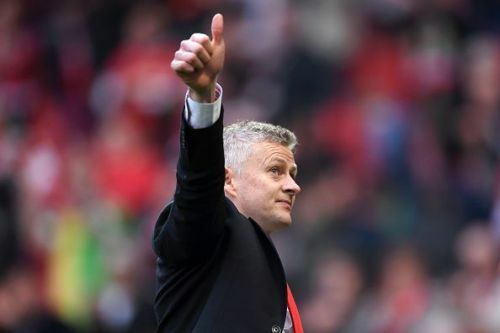 Solskjaer has brought back self belief, confidence and optimism to this club and it is not very easy to do that. Right now, every player at that club seems to be happy and wants to be involved. Solskjaer deserves all the plaudits coming his way and no doubt he is the front runner for a full-time managerial job at Old Trafford. Happy birthday Ole Gunnar Solskjaer. Thank you for making us United once again. 14 games, unbeaten in the league, wins against Spurs, Chelsea and Arsenal away. Manager or the month. Record number of points for a manager in their opening 10 games. 🎉 Happy 46th Birthday, Ole Gunnar Solskjaer! Happy birthday to Ole Gunnar Solskjær!